Can I ask you equestrian? 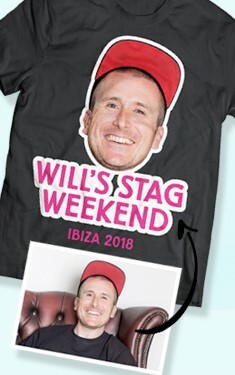 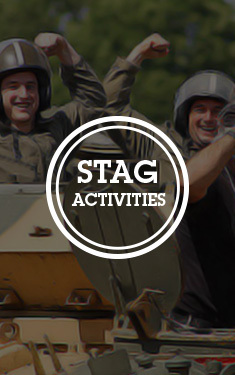 A stag do is all about embarrassing the Groom-to-be, getting him noticed in a crowd, and leave him with lasting (and humiliating) memories of his last night of freedom. 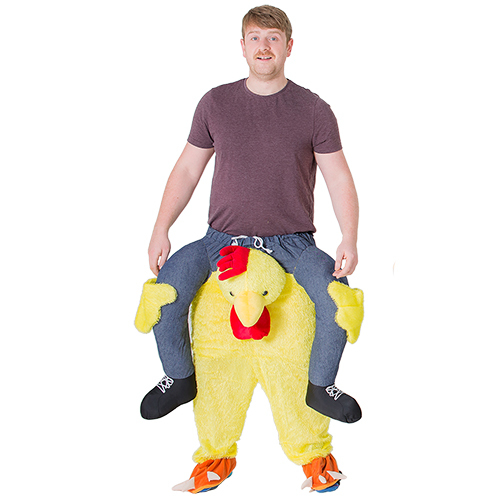 And for this reason, you’ve come to the right place. 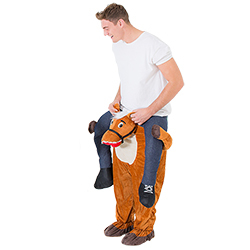 Have you ever seen John Wayne lying against a telephone box in the street, because he’s had one too many pints, and can’t hack the Wild West sesh? Nope? 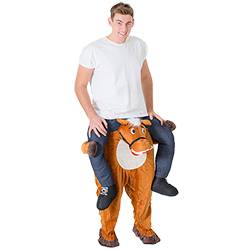 That’s because he always had his trusty steed at hand, ready to whisk him off to safety. 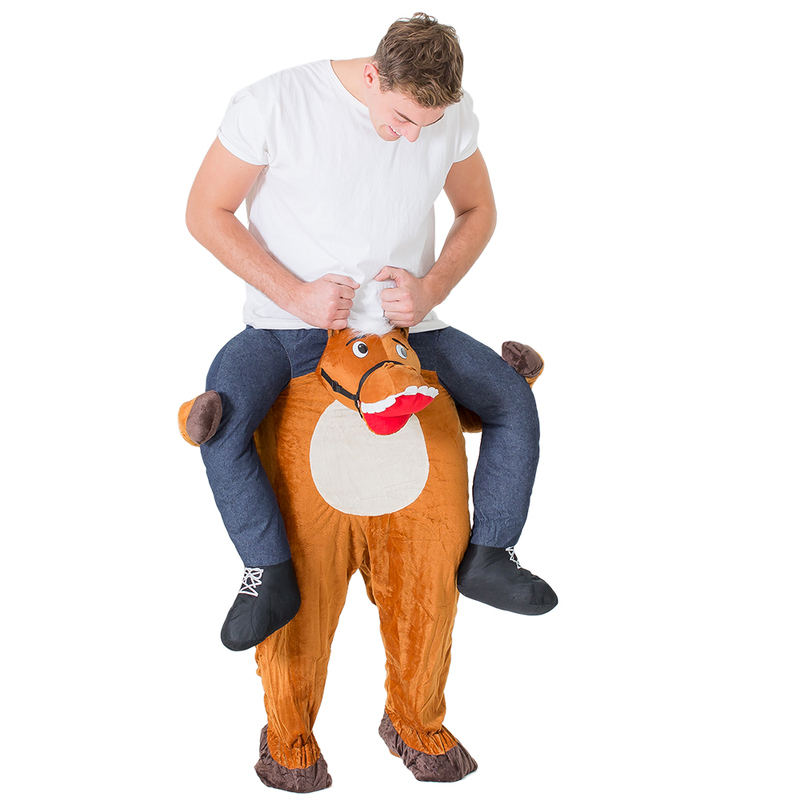 And, thanks to us, you can now have your very own noble equine friend. 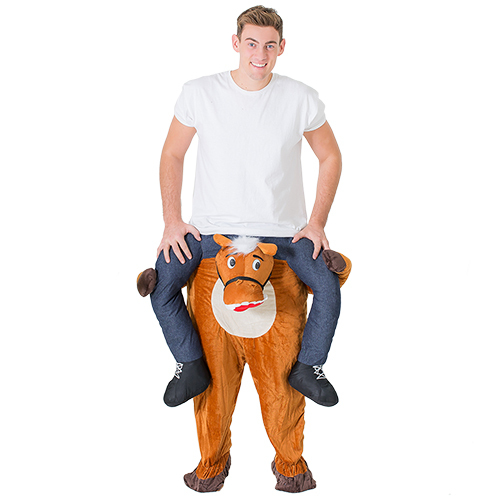 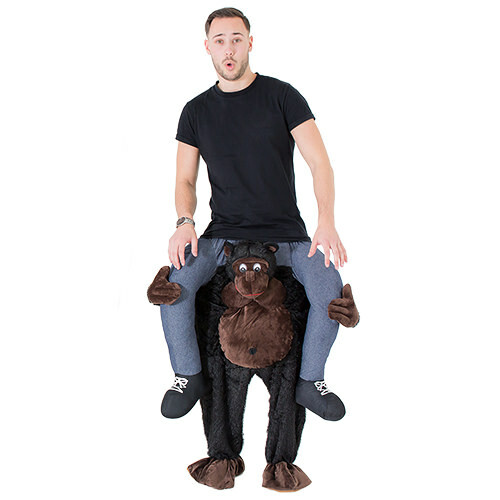 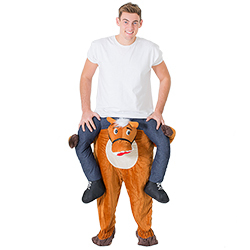 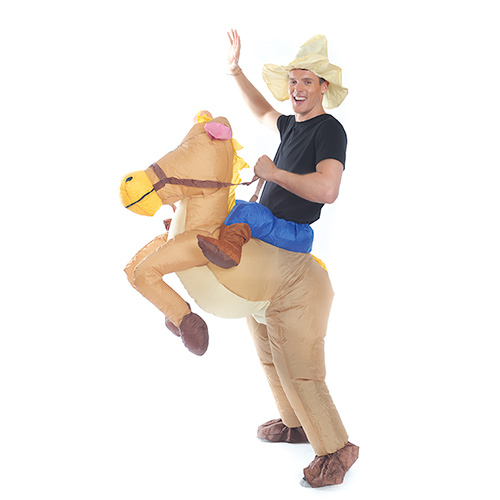 This Carry Me Horse costume will cunningly create the illusion that a small horse is carrying the wearer around the nightclub with ease – and will certainly turn heads all night.